A man has been charged in connection with a murder investigation in Crawley, said police. Just before 10.30am on Tuesday (November 28), police received a report of a stabbing on a pathway close to a playground in Cherry Lane. Shortly afterwards, a man was arrested nearby in connection with the incident. Vladimir Ivanov, 22, a warehouseman, of Juniper Road, Crawley, has been charged with murder and remains in custody, said police. 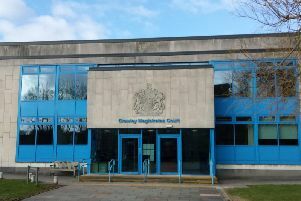 He is due to appear at Crawley Magistrates’ Court tomorrow (December 1). A forensic post mortem has revealed the cause of death as a stab wound. He has been formally identified as Glyn Rouse, 61, of Rushetts Place, Crawley.